ETA Andy Reno from the UK. Photo Credit: Andrew Wood, Andrew Wood Photography. ETA Andy Reno. Photo Credit: Andrew Wood. Britain’s ETA Andy Reno has a very interesting and unique website. In addition to information about his career as an ETA, Andy shares the story of Elvis's journey from his humble beginnings singing in church to his rise to super stardom. 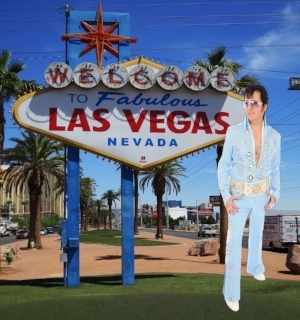 Photographer Andrew Wood, of Andrew Wood Photography, has taken artistic snapshots of ETA Andy Reno dressed as Elvis, representing the important stages of Elvis’s life and music career, and Andy's own images as an ETA have been used to enhance the story. In effect, ETA Andy Reno and photographer Andrew Wood have brought together the two worlds of Elvis Presley and ETAs in a very creative way. Thank you very much, Andy. Best regards C.M. ETA Andy Reno in '68 Comeback leather. Photo Credit: Andrew Wood. 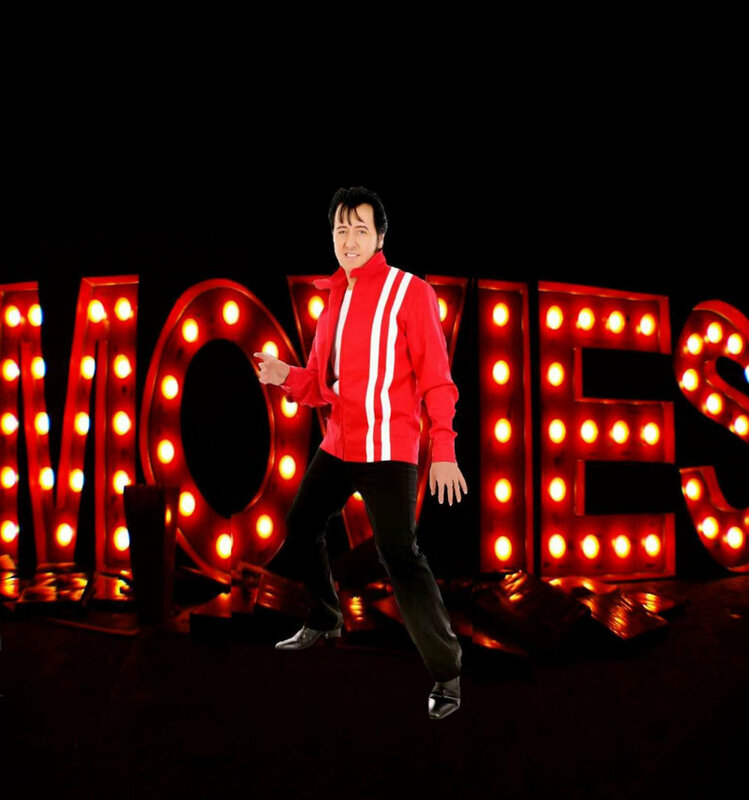 I have been a fan of Elvis Presley ever since watching “Jailhouse Rock” as a kid. I was amazed by his looks, charisma and fantastic voice. After winning a competition singing an Elvis song judged by the North West of England’s biggest radio station, Key 103, I decided to become a professional Elvis Tribute Artist in 2012. 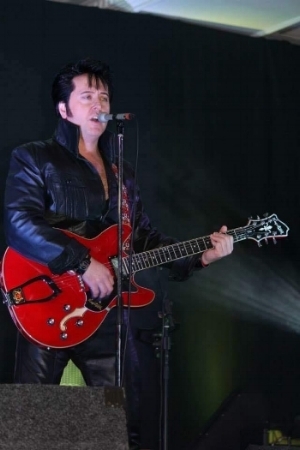 In 2013 I entered the European Elvis Championships singing as GI Elvis and made the finals. In 2014 I entered the competition again and made the finals with the recreation of the ‘68 Comeback Special performance. Later in July 2014, I entered Europe’s Tribute to Elvis and was voted into the top sixteen by judges by Sam Thompson, Elvis's bodyguard, Charles Stone, Elvis's tour manager, Elvis's co-star Cynthia Pepper from the movie “Kissin’ Cousins”, and Suzie Quatro. In 2015 I made the top ten in the finals of the European Elvis Championships as 70s Elvis. I have been invited to tour with Elvis's favourite Gospel group the Blackwood Brothers, and I am now regarded as one of Europe’s best, and most versatile, Elvis tribute artists. 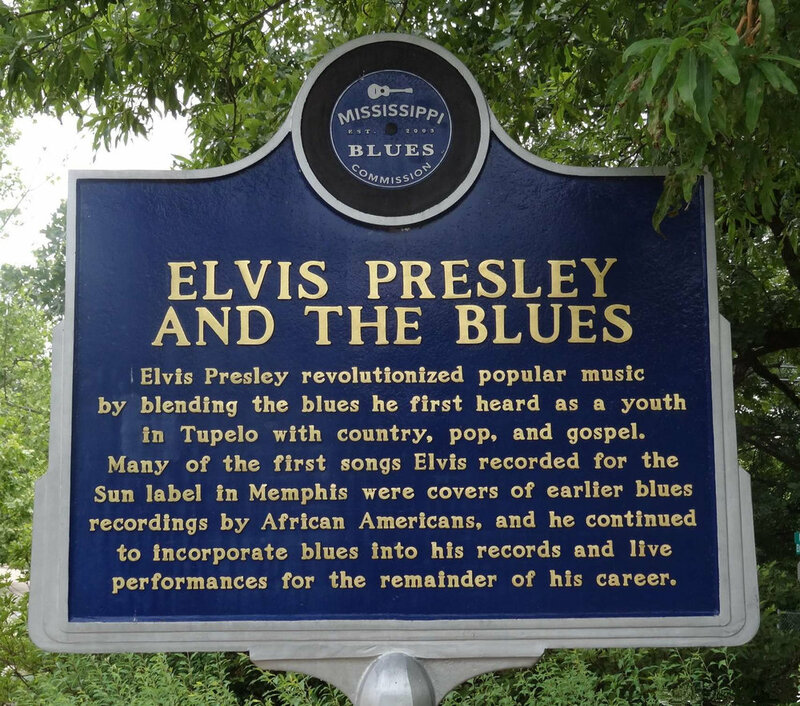 It was here that Elvis was first exposed to the rich Southern gospel that became a staple of his musical repertoire. According to Assembly of God minister, Brother Frank Smith, Elvis was fascinated with music and the prospect of learning to play the guitar. Brother Frank taught Elvis how to make D, A, and E chords…all he needed to play “Ole Shep”. Elvis never realized his dream of becoming a member of the Statesmen or the Blackwood Brothers gospel quartets, yet throughout the rest of his life, Elvis recorded many of the beloved songs of his youth, the emotional and uplifting music of the church. 1953: Elvis worked at Parker Machinists Shop right after graduation. That summer he dropped by the Memphis Recording Service, home of the Sun label and made a demo acetate of “My Happiness” and “That’s When Your Heartaches Begin” for a cost of about $4.00. (The studio came to be known as Sun Studio, though never officially named that until the 1980s. For simplicity this text uses the name Sun Studio.) The studio owner wasn’t in, so his assistant, Marion Keisker handled the session. Elvis wanted to see what his voice would sound like on a record, as he had aspirations of becoming a professional singer. He took the acetate home, and reportedly gave it to his mother as a much-belated extra birthday present. January, 1954: Elvis made another demo acetate at Sun. Sam Phillips, the owner, is in this time; and, like Marion Keisker, was intrigued by this unusual looking and sounding young man. Summer 1954: At Marion Keisker’s suggestion, Sam Phillips called Elvis into the studio to try singing a song Sam hoped to put out on record. The song was “Without You”, and Elvis did not sing it to Sam’s satisfaction. Sam asked Elvis what he could sing, and Elvis ran through a number of popular tunes. Sam was impressed enough to team Elvis up with local musicians Scotty Moore (guitar) and Bill Black (bass) to see if they, together, could come up with something worthwhile. Nothing really clicked until July 5, when after a tedious session, Elvis and the guys broke into a sped-up version of Arthur ‘Big Boy’ Crudup’s “That’s All Right.” This song, backed with Blue Moon of Kentucky became the first of five singles Elvis released on the Sun label. Elvis Presley made 31 films as an actor. He also made two documentary feature films, “Elvis - That’s The Way It Is” and “Elvis On Tour”. In 1957, while spending the Christmas holidays at Graceland, his newly purchased Tennessee mansion, rock-and-roll star Elvis Presley receives his draft notice for the United States Army. The following year, at the peak of his career, Elvis received his draft notice for a two-year stint in the army, before being sworn in as an army private in Memphis on March 24, 1958. After six months of basic training, including an emergency leave to see his beloved mother, Gladys, before she died in August 1958, Presley sailed to Europe on the USS General Randall. For the next 18 months, he served in Company D, 32nd Tank Battalion, 3rd Armor Corps in Friedberg, Germany, where he attained the rank of sergeant for the rest of his service. NBC Christmas Special, December 3rd, 1968: He was thirty-three, a new dad, and unbeknownst to all, even himself, he was at the peak of his powers. Two versions of the special were initially aired by NBC. The first included Presley singing "Blue Christmas" – the only seasonal song Binder agreed to use. When the special was rebroadcast the following summer, this was replaced with a performance of "Tiger Man". A deal was negotiated with Alex Shoofey of the International Hotel in Las Vegas. Presley would be paid $500,000 for four weeks of shows at the hotel, which was still under construction. 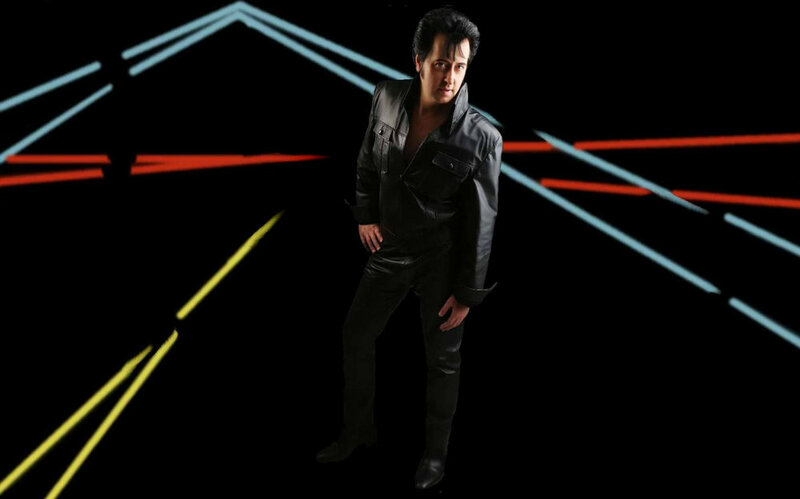 Andy will be performing in the theatre show “Elvis- The Rock ‘n’ Roll Years” which will be touring soon in the UK.